RELEASE DAY! Explore Alainn and Killian’s World with Leigh Ann Edwards! 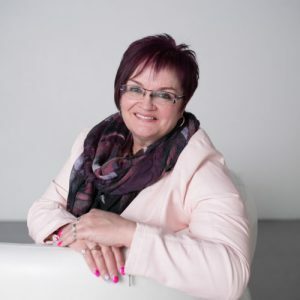 I’m delighted to be featured on Tule’s blog today. 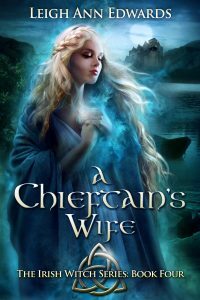 I’m also very excited for the release of A Chieftain’s Wife – Book Four in The Irish Witch Series. It’s been nearly a year since the last installment was released, and I’ve had many readers wondering when and if the series would continue. I’m so thrilled to carry on with Alainn and Killian’s story and to be re-immersed in their world. I’m often asked how I became inspired to write the series. Firstly, I knew I wanted the novel to take place in Ireland. I’ve always been drawn to Ireland, perhaps because of my Irish ancestry, but it seemed to call to me. I chose that historical time because there was a lot of information available for the Tutor period in England. Although Ireland had some differences from England, there had already been considerable English influence as far as clothing, food, customs and language. When I traveled to Ireland the first time, I visited two castles in particular that were the initial inspiration for The Farrier’s Daughter and the series. Blarney Castle in County Cork was definitely interesting to tour, but it was the surrounding gardens that really caught my attention and mesmerized me. It wasn’t simply the various fragrant and beautiful flowers, the ancient, uniquely twisted, moss-covered trees or how very “green” everything was, there was something more…something enchanting. The way the sun shone through the trees and the dew glistened on the grass, it will likely sound undeniably cliché, but it was completely magical. My daughters and some of my friends are very much into fairies. They collect figurines and read stories about fairies. While I certainly thought fairies were whimsical and lovely, I’d never been one to believe in their actual existence, but in that mystical location, I was truly half expecting to see fairies appear. Hence the reason for the fairy realm in my books. It was also in this garden that I saw the first dolmen, in Ireland. These odd, and not entirely understood rock structures intrigued me so much, I knew I wanted to include one in the storyline and to make it have relevance to Alainn and Killian. It was the interior of Bunratty Castle in County Clare that inspired me to create Castle O’Brien where Alainn and Killian lived. When I stood in that castle’s Great Hall, I imagined what it would have been like to actually live back then. The room was immense, and cold. It smelled old and damp. The sights, the feel, and especially the scent of the room seemed to transport me back in time. The tiny grey chambers, alcoves, corridors and dungeons, where the people slept, lived and sometimes were imprisoned, helped me get a greater grasp of what sixteenth century life might have been. It was Stirling Castle in Scotland where I got many of my ideas for the bustling kitchen. A combination of the three castles and the garden was my basis for the beginning of Alainn and Killian’s love story. I hope this gives a bit of insight into the inspiration behind the Irish Witch Series. I am so pleased readers will finally learn what is in store for Alainn and Killian now that they have journeyed to their castle and begun their married life together. Book Five- A Witch’s Life is scheduled to be released January 2018. I hope to be back here with you then. Congratulations, Lesley! You’ve won a copy of The Chieftain’s Wife. Please email michellemorris@tulepublishing.com to claim! I haven’t read this series yet but it looks great! Fascinating to learn what influenced the stories from your travels abroad.